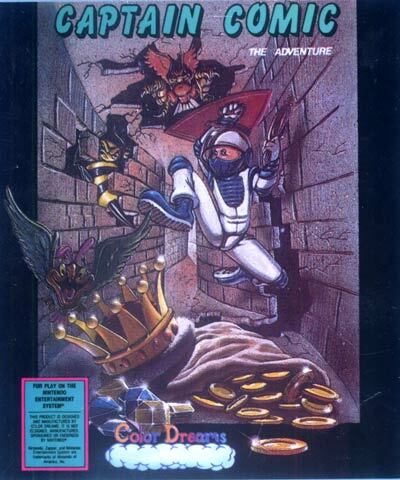 In the game, the player takes control of Captain Comic, who is on a mission to the planet Tambi, to recover three treasures stolen from the planet Omsoc. Captain Comic is a standard platformer, in which the player has health, lives, a score, and a set of useful items. The game is divided into a number of major areas (see list above), and each area is divided generally into three smaller "zones".